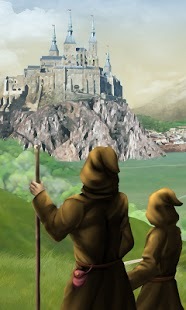 Lost Heir: The Fall of Daria is a novel like adventure game. Take back the throne that is rightfully yours which was taken by demon-summoning usurpers who assassinated the king and the queen. The leadership falls in your hands as their only child. Play as a man, woman, gay or straight in this epic novel like adventure game. System requirements: Android 2.3.3 and Up with at least 5mb free memory.